How can you get your security token ? You need to create an app. From Setup, enter “Apps” in the Quick Find box, then select “Apps”. Then select “Create”, then “Apps”. 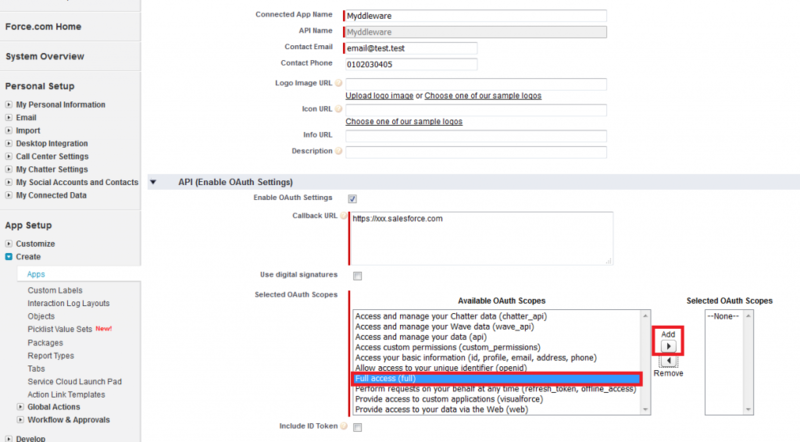 After typing your App Name, API name and email address, enable OAuth Settings. 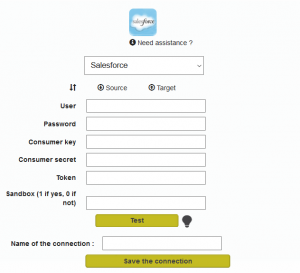 Put your Salesforce URL and choose “Full access”. Save. You will be redirected to the presentation page of your app. There you’ll find your Consumer Key and Consumer Secret. Congratulations! 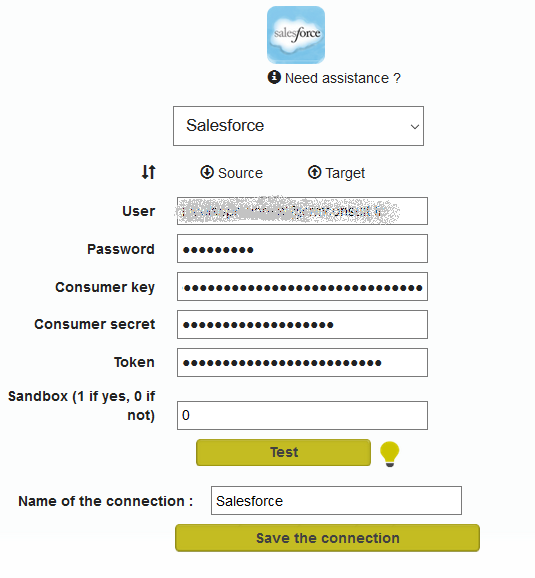 You have created your Salesforce connector.You can now sync your data from and to your Salesforce app ! 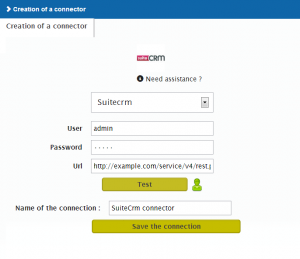 Congratulations, you‘ve created your SuiteCRM connector ! You can now use it to synchronise your data to or from this solution. 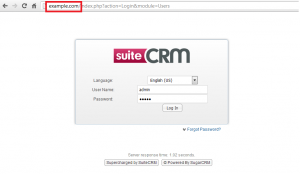 Myddleware is compatible with SugarCRM CE and SugarCRM PRO v6.2 and upper versions. 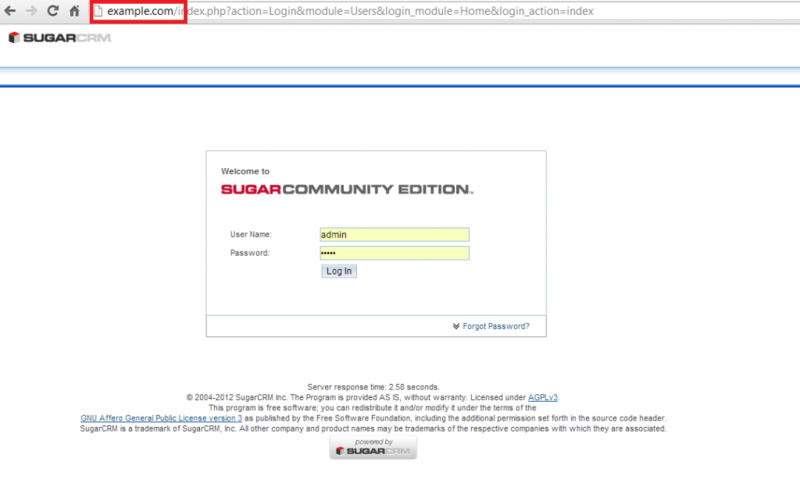 Congratulations, you‘ve created your SugarCRM connector ! 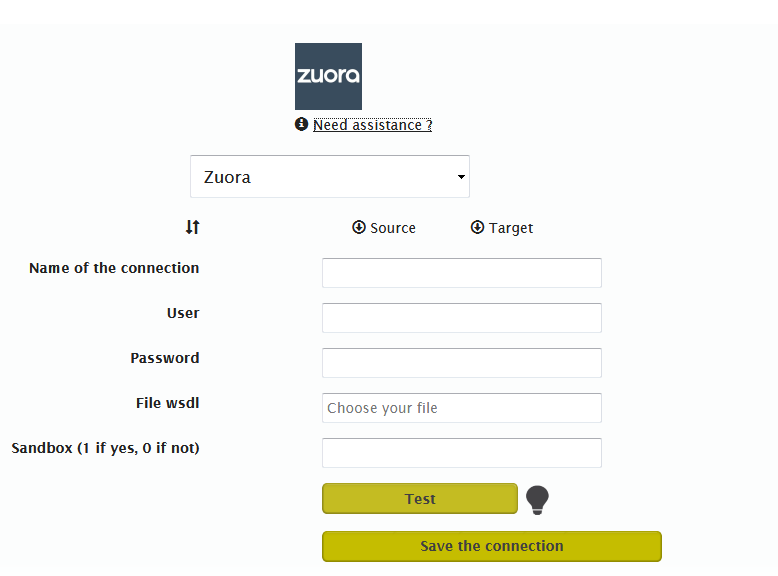 You can now use it to synchronise and transfer data to or from this solution. – Your user email address. – A WSDL file that you need to download. 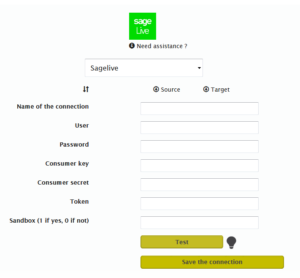 The user and the password are those you use to access your Sagecrm account. 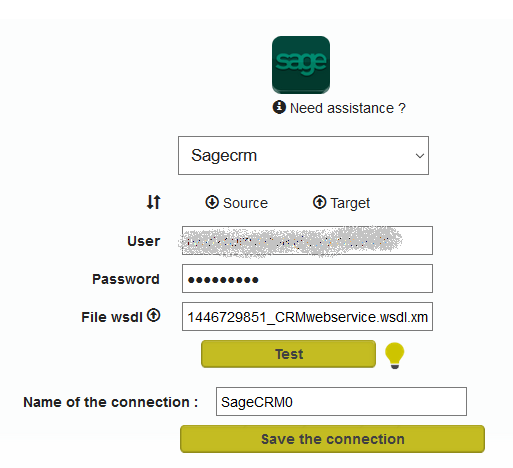 To download the WSDL file, you must connect to your Sagecrm account and click on “Administration”. 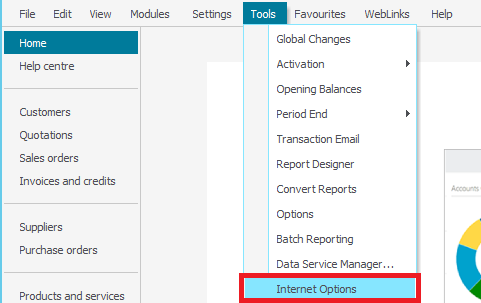 Once you’re in “Manage My Account”, click on “External Access” and then on “View Web Services WSDL”. A new page opens. You have to save it. 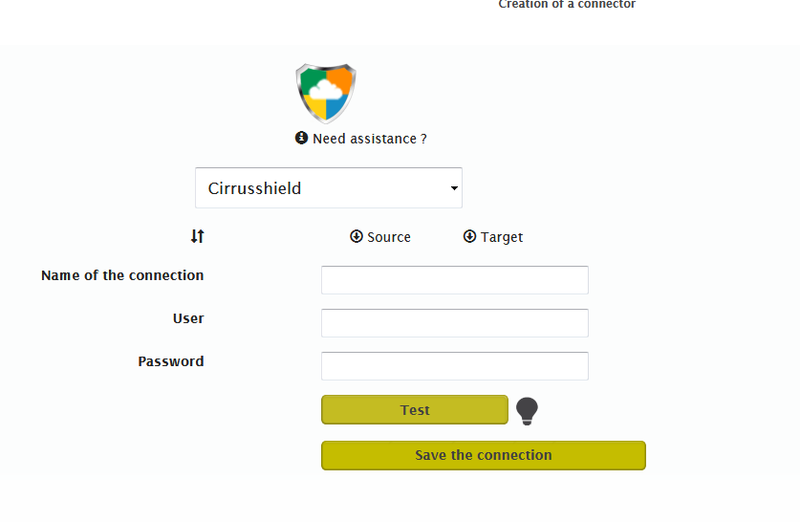 Now, go to your Myddleware environment where you will create a new connector. After typing in your email address and password, click on “wsdl file”. Choose the file you just downloaded and then transfer it. The file has been transfered successfully. Test your connection. If the bulb is green, it means it’s working! Choose a name for your connector and save it. Congrats ! 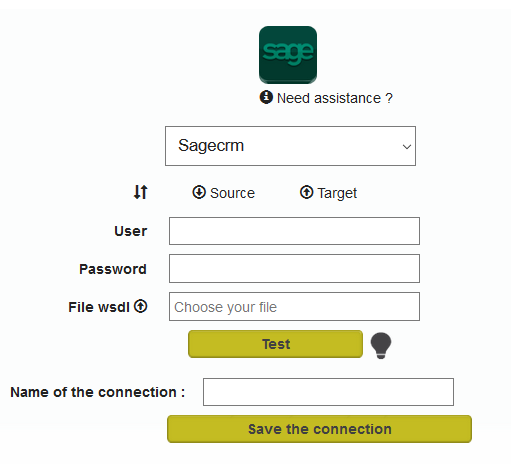 You’ve created your Sagecrm connector ! 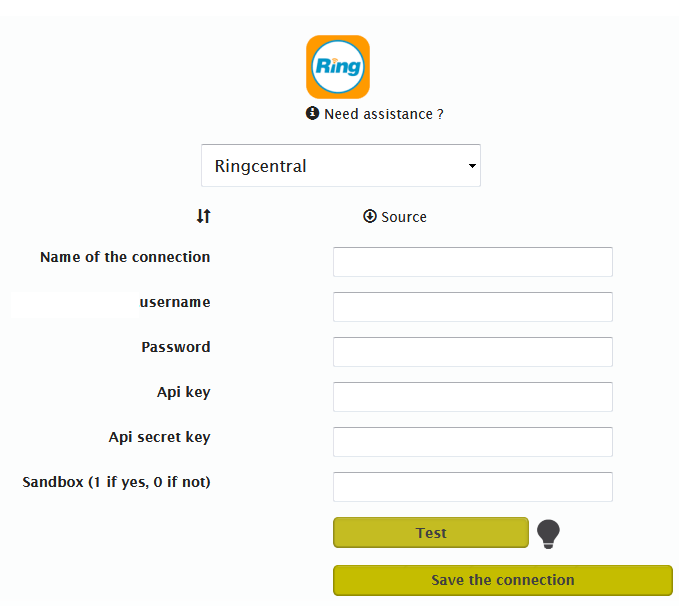 You can now use it to sync data from and to this solution. 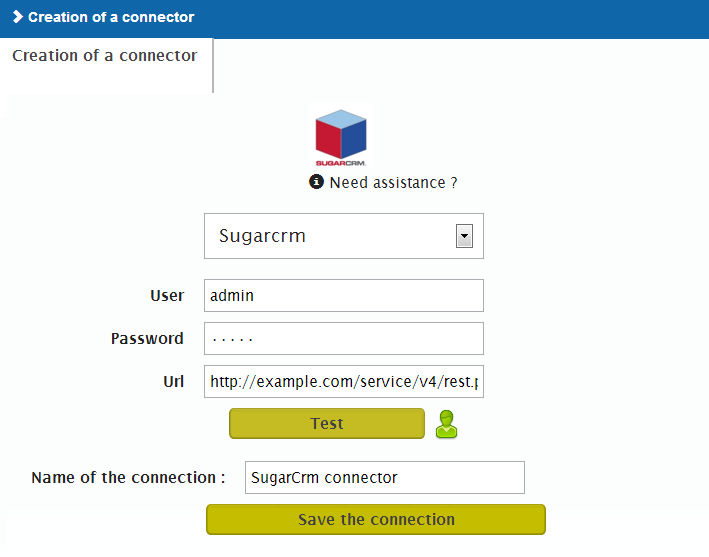 The SAP CRM connector can only be set up by our team. To know more about this connector, please fill in the contact form here. 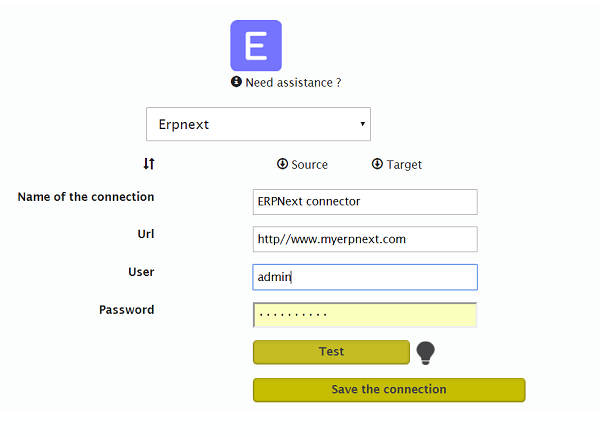 Congratulations, you‘ve created your ERPNext connector ! 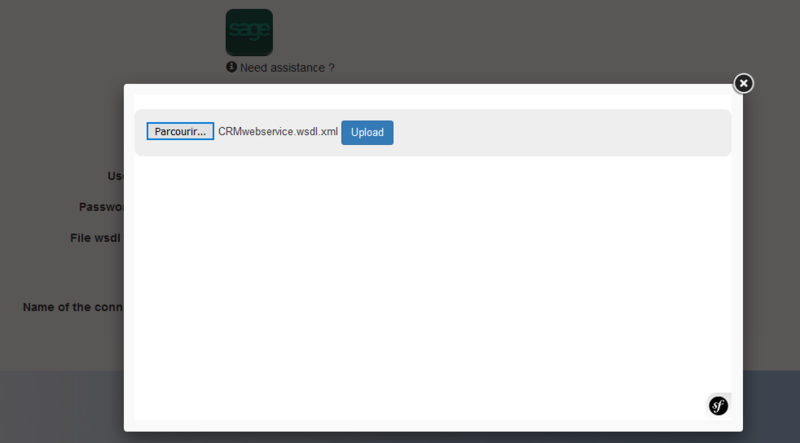 You can now use it to synchronise your data to or from this solution. 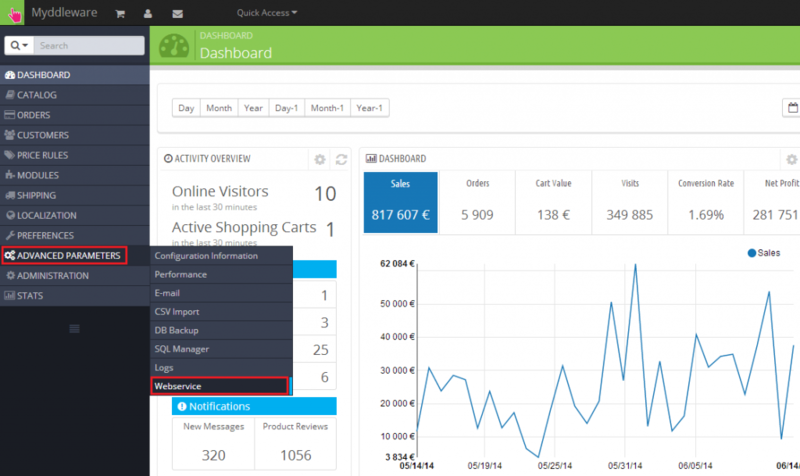 This tutorial is valid for Prestashop 1.5, 1.6 and 1.7 versions. 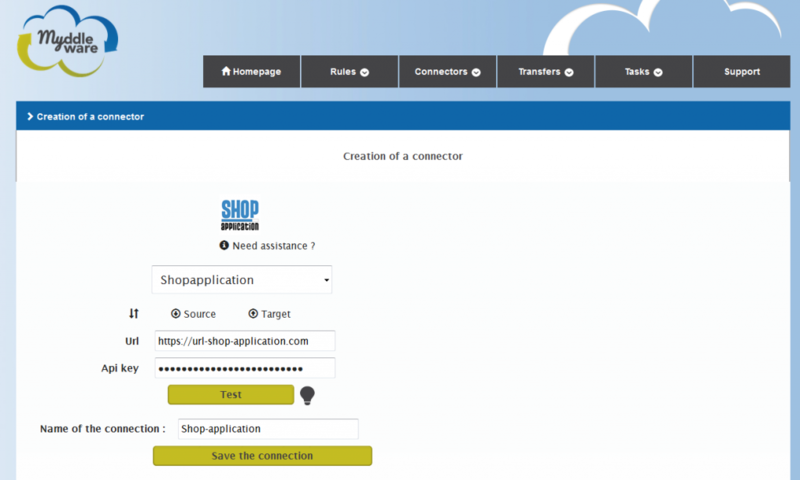 It will allow you to create the PrestaShop connector. To do so, you will need the URL of your shop and an API key that you will have to generate yourself. How do you generate this key? To generate this key, you should go in the back office of your shop. Go to “Advanced Settings” and then “Webservice“. Finally, click on “generate” to generate the key and set the “Status” button to “Yes”. Select the check boxes “View”, “Edit”, “Add” and “Fast view” (just like in the example below). 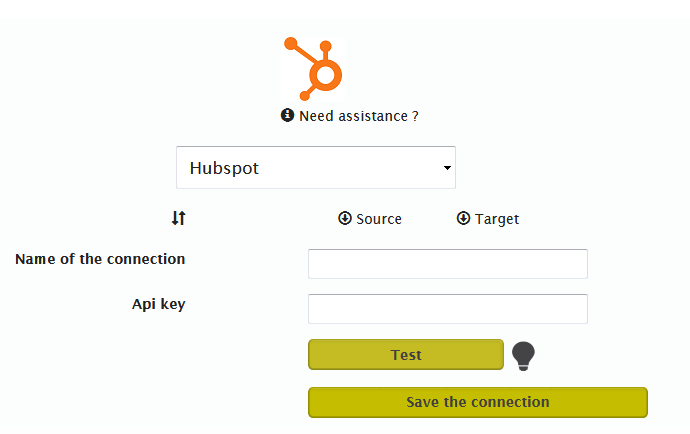 Finally, save and get your API key to create your connector. 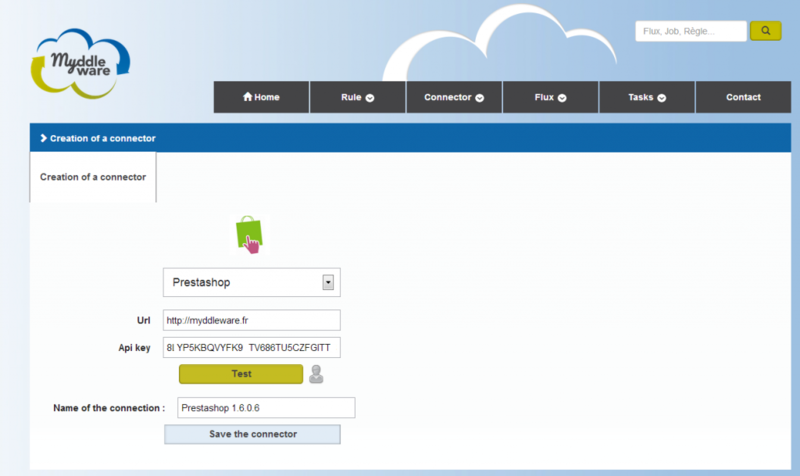 Congratulations, you’ve created your PrestaShop connector ! 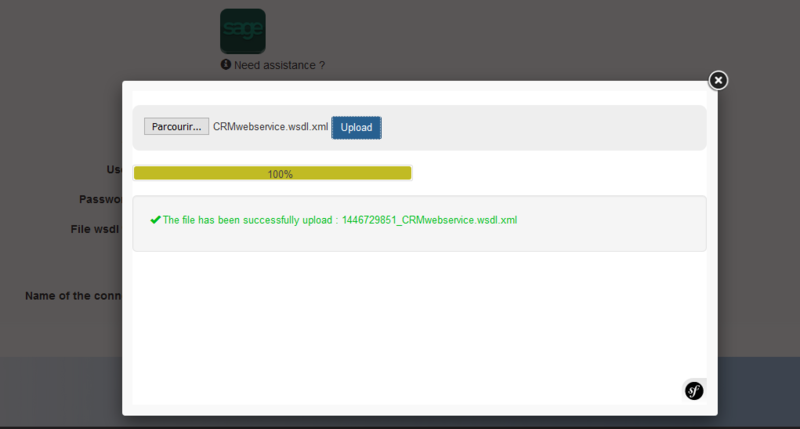 You can now use it to synchronise your data to or from this solution. 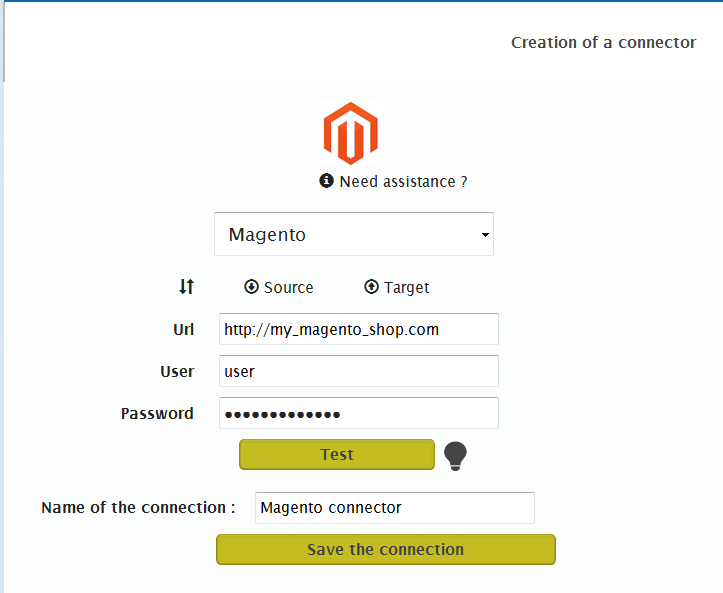 Valid for Magento version 2. Use the username and password of a user that has the rights you need to use Myddleware. Add the URL of your shop as well. 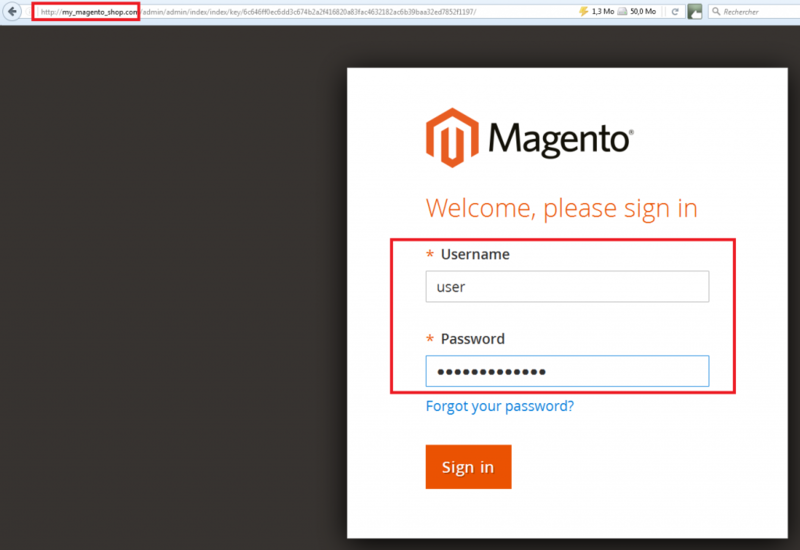 Congratulations, you‘ve created your Magento connector! You can now use it to synchronise data to or from this solution. 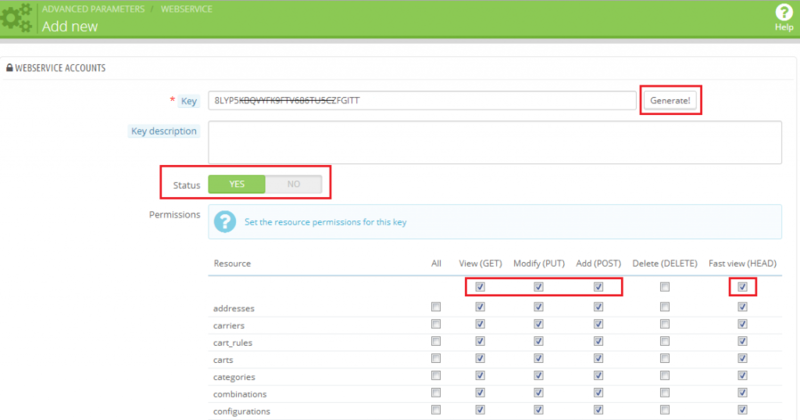 API key. Ask the shop application team to give it to you. Then save your connector. As easy as that ! 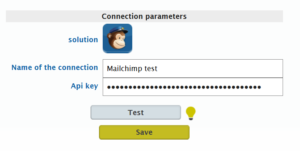 This tutorial will help you to create your Mailchimp connector in Myddleware. Congratulations! You have created your Mailchimp connector. In this tutorial, we‘ll learn how to create a Dolist connector. – Retrieving the information needed to create the connector in Myddleware. Go to your Dolist login portal and log in. The administration tab is now open. 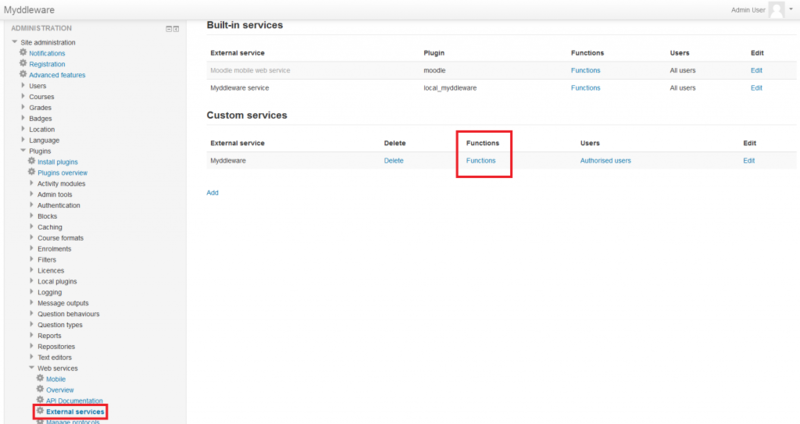 You will find in the left menu a subsection named “Web Services”. Click on it. The following tabs should appear. The one which interests us is “key management”. You are now ready to move to the second step. You must now fill in the necessary fields. We advise you not to choose the restriction by IP and to check the “permanent validity”. If you however wish to add Myddleware IP to your restrictions, please contact us. Congratulations, you’ve just created your Dolist authentication for Myddleware ! 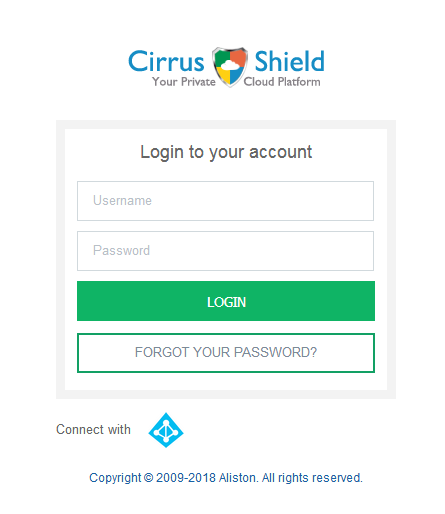 For this last step, just click on the “See Key” button or the “See the authentication key” button, if you are still on of your authentication page. 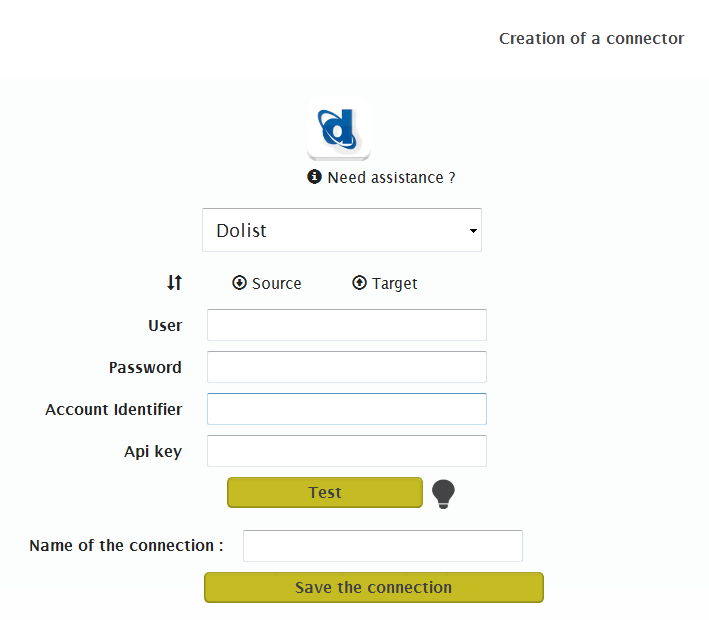 Take note of your Account ID and your authentication key so that you can fill in the fields when creating your Dolist connector in Myddleware. Congratulations, you‘ve created your Dolist connector! You can now use it to synchronise data to or from this solution. 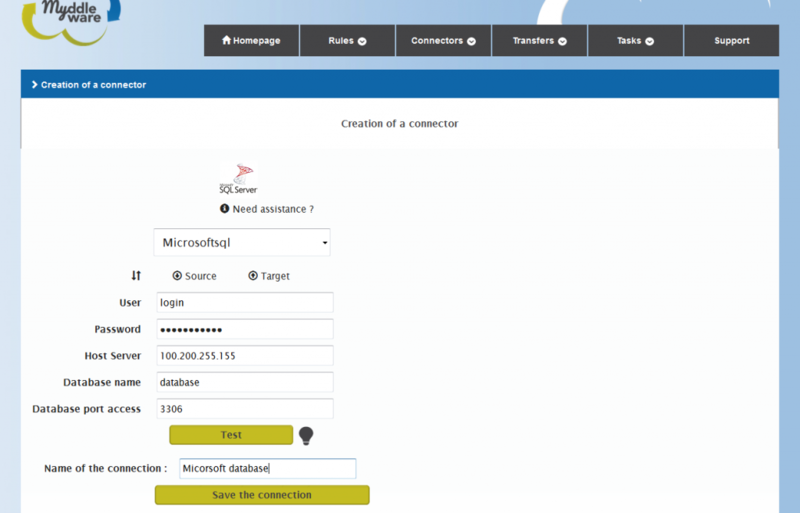 Complete all the required information to connect your Microsoft SQL database and test the connection. Then save your connector. 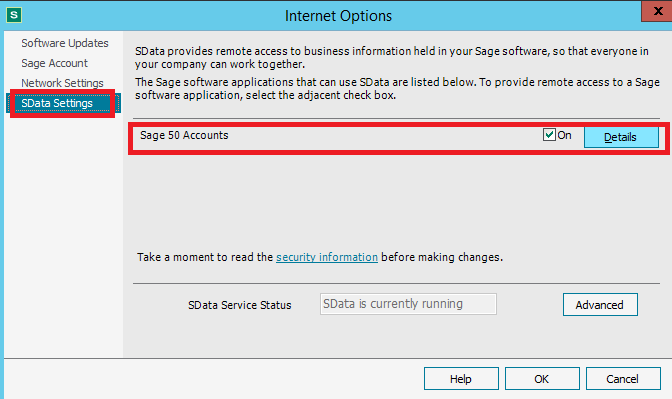 If you have installed Myddleware on a Windows sever, you have to install the PDO driver sqlsrv. 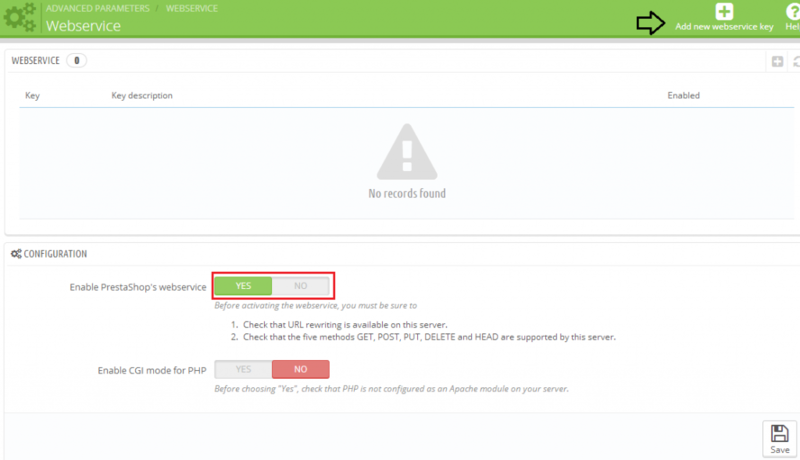 If you have installed Myddleware on a Linux sever, you have to install the PDO driver dblib. Complete all these information to connect your MySQL database and test the connection. Then save you connector. 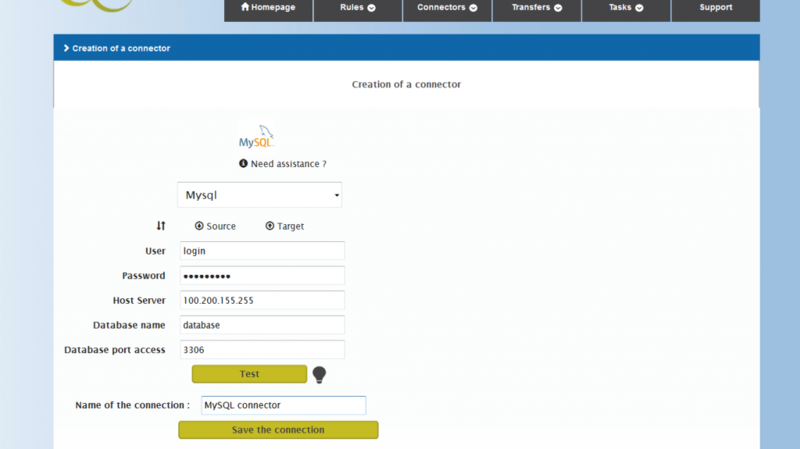 Myddleware use the PDO driver mysql. 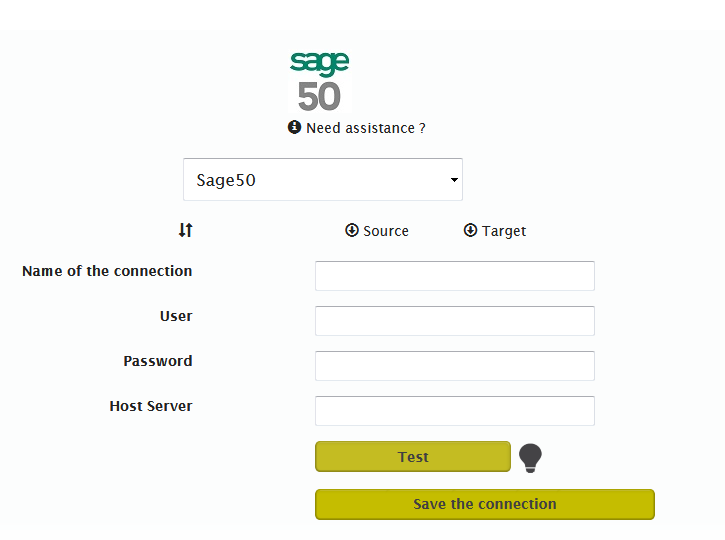 Put your Sage Live URL and choose “Full access”. Save. You will be redirected to the presentation page of your app. There, you’ll find your Consumer Key and Consumer Secret. Congratulations! 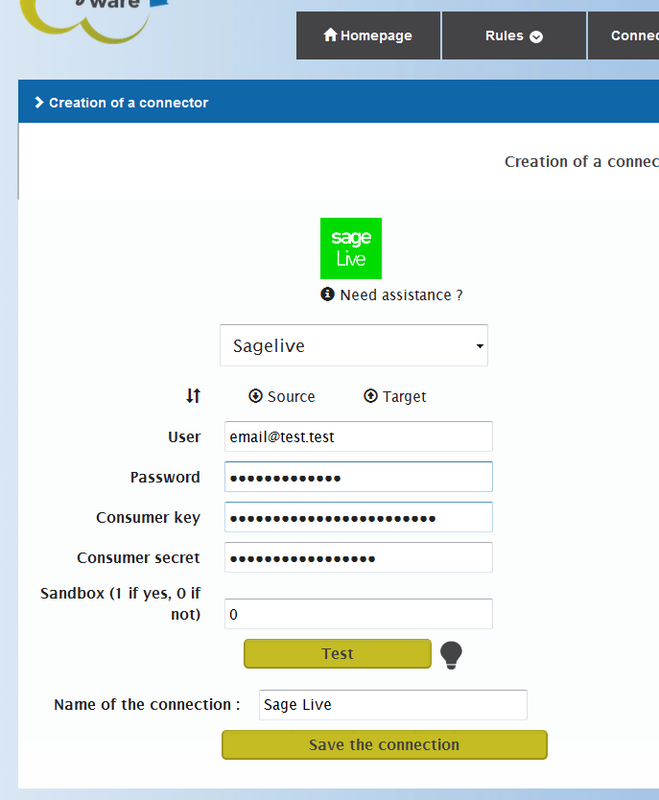 You have created your Sage Live connector ! 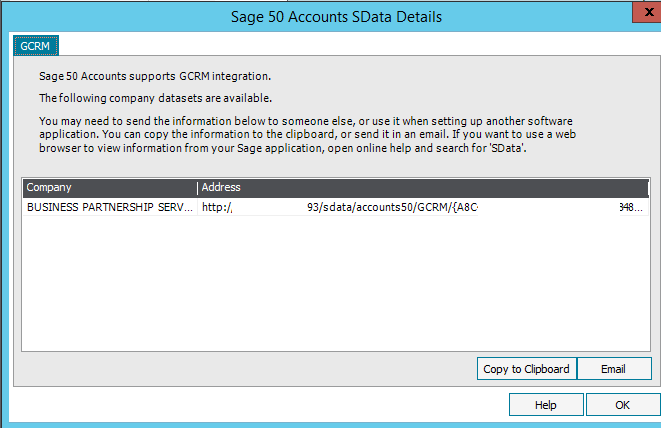 You can now sync your data from and to your Sage Live app! 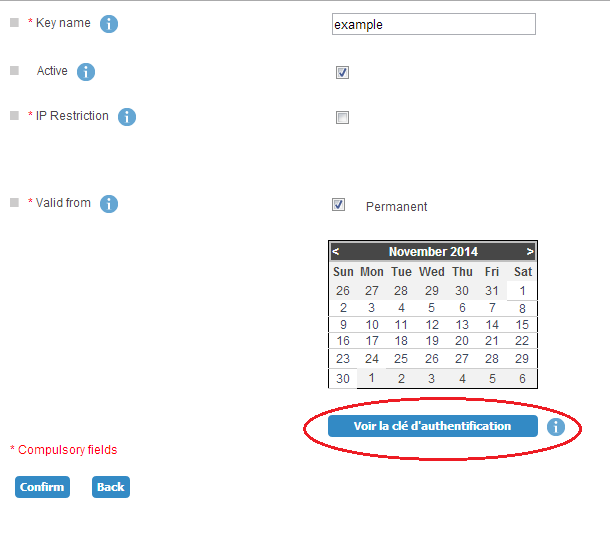 Valid for Moodle version 3. Myddleware use the protocol REST. Framed in the red box are the standard functions. 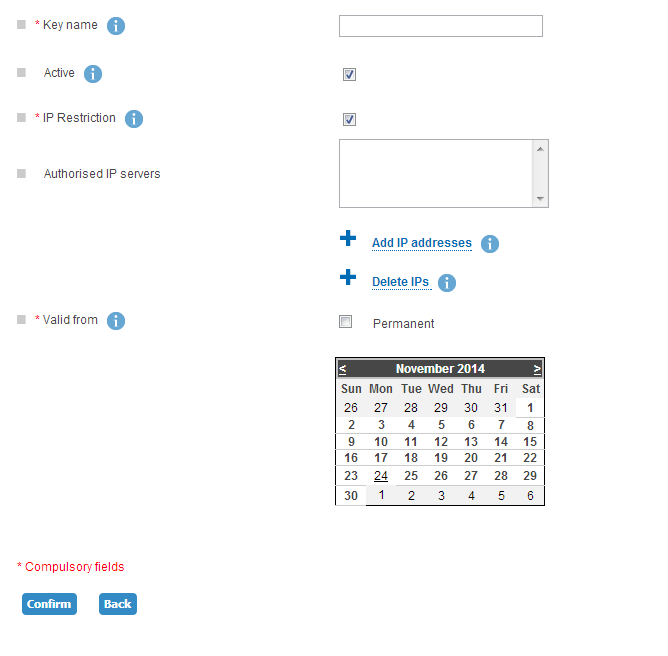 In the blue box are the custom functions used by Myddleware to read data from Moodle. 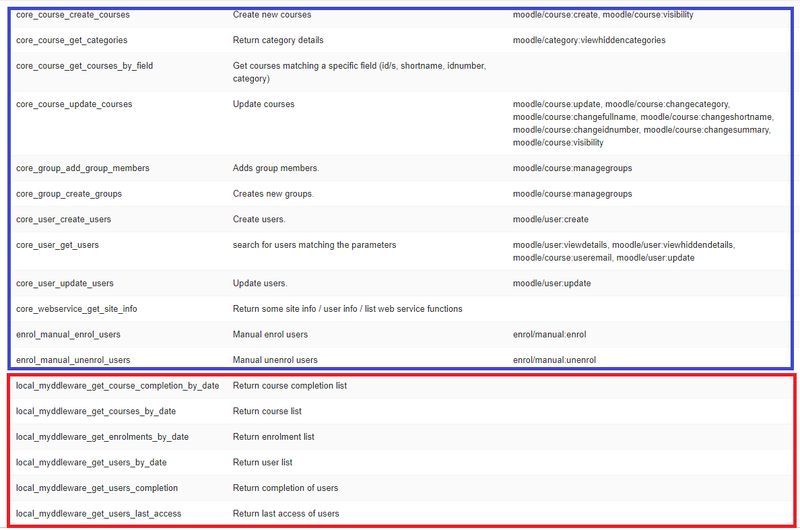 Make sure you have installed the Myddleware Moodle plugin if you don’t find these functions in the list. Congratulations, you‘ve created your Moodle connector ! You can now use it to synchronise data to and from this solution. Complete all the required information to connect your FTP server and test the connection. Then save your connector. 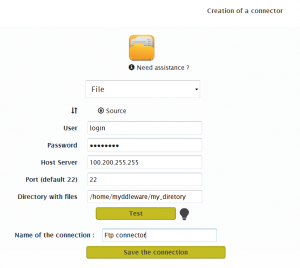 Myddleware uses the php functions ssh2_connect and ssh2_auth_password to connect to your FTP server. Click on the links for more information.